Kapoor sisters Janhvi Kapoor and Khushi Kapoor have surely a bright future in Bollywood. The Bollywood siblings will be appearing together for the first time on the talk show BFFs with Vogue season 3. 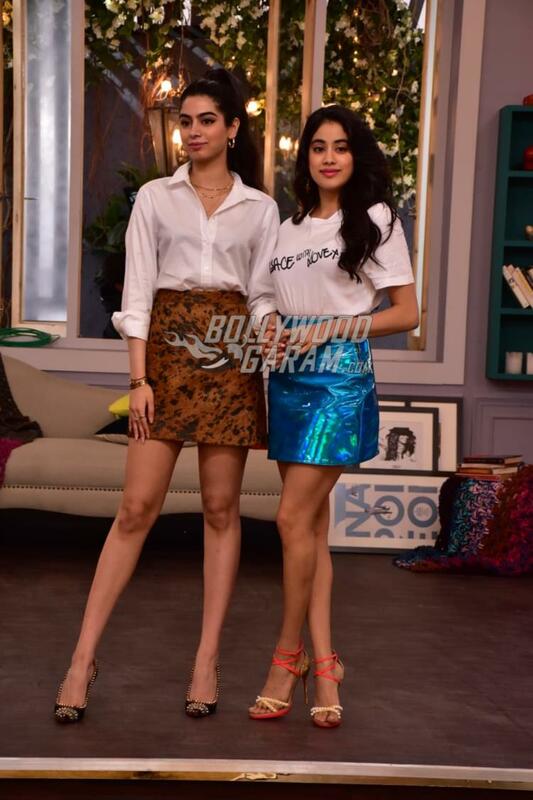 The young sisters shot for an episode in Mumbai on January 21, 2019. 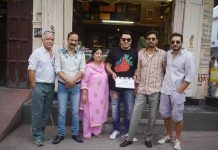 Talk show host Neha Dhupia has started off shooting for a new season. The show by Neha Dhupiahad proved to be a hit among the audience with several celebrities like Deepika Padukone, Anisha Padukone, Katrina Kaif, Mira Rajput, Shahid Kapoor and others came on the show and spoke their hearts out. The stylish sisters were seen in similar outfits. The Dhadak actress was seen in a white t-shirt, and an electric blue mini skirt and left her hair open and finished her look with danglers. Khushi was seen in a white shirt and an animal print skirt and completed her look by tying a high pony tail with hoop earrings. The young siblings looked great as they posed together. The youngsters were also seen posing for pictures with the host Neha Dhupia.